3 Bedroom Semi Detached House For Sale in Huntingdon for Offers Over £300,000. This 3 BEDROOM semi-detached house is a GREAT FIRST-TIME BUYER property. 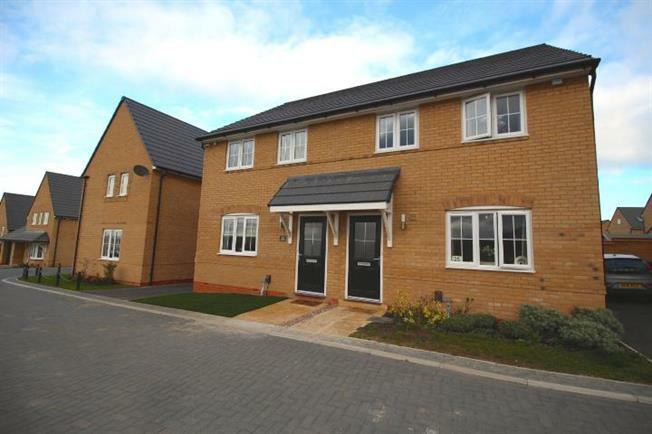 It is located in the sought after village y Godmanchester within a close proximity of the A14 and links to Cambridge. The ground floor features an OPEN-PLAN CONTEMPORARY KITCHEN/DINING AREA with FRENCH DOORS opening into the rear enclosed garden, DUAL-ASPECT AIRY LOUNGE and a W/C. On the first floor you'll find a MASTER BEDROOM with an EN-SUITE, second DOUBLE BEDROOM, third SINGLE BEDROOM and a MODERN FAMILY BATHROOM. The property is decorated in neutral tones throughout. The upgraded KITCHEN/DINER comes fully fitted and is finished to a very high standard.